I began tearing down the old motor this weekend and discovered that I did do in fact have a doghouse oil cooler on the motor, which I’ll put on the new motor. I have not, however located the thermostat, so this motor may not have one. 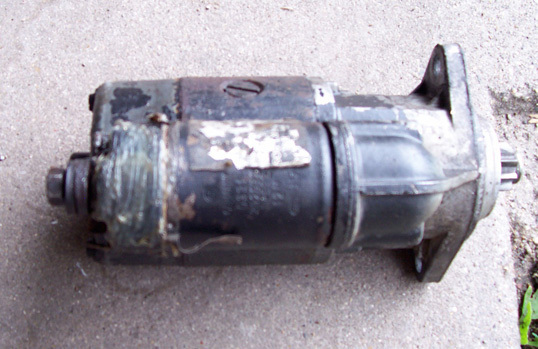 I have not inspected the new motor yet. All I know about the motor is that it is a 1600 DP without a doghouse and is a 6v motor. I have removed the coil and alternator for installation on the new motor. 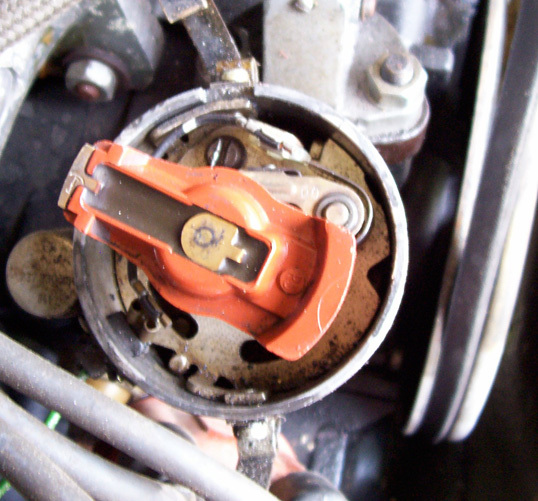 The starter has some silicone on the solenoid. I was having problems getting the bus started, not sure if this was the reason or not. Especially since the battery was not charging due to the bad wire off the regulator. Not the best picture. I guess I need to get my tripod out next time. 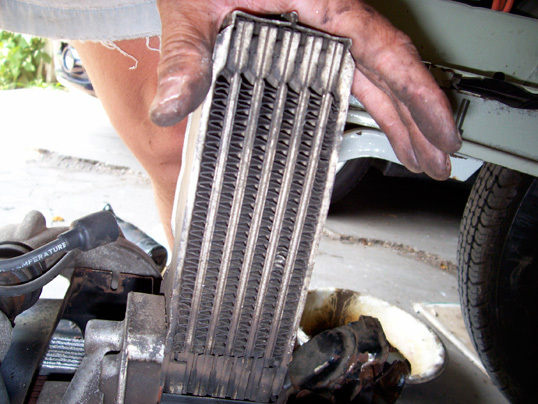 The oil cooler doesn’t look to bad, but since the engine seized, Ill have it replaced. 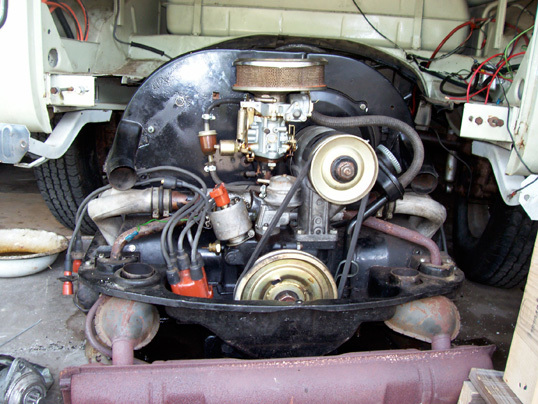 The carb on this motor is a Mexican Bocar 34 PICT-3. I looked at the main jet and it was 127.5 which is the apropriate size for this motor. I did feel the oil as was requested and found it to be very dark, slimy, but also with a faint sent of fuel. 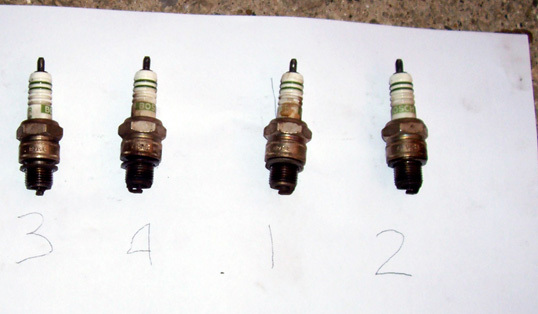 Below is a pict of the plugs not sure on the condition, but they appear kinda dark for less than 600 miles. They seemed pretty easy to remove and I would have thought that they would have been tighter. They were gap’d at .025. I believe the specification is .026, but my gauge does not have that combination. 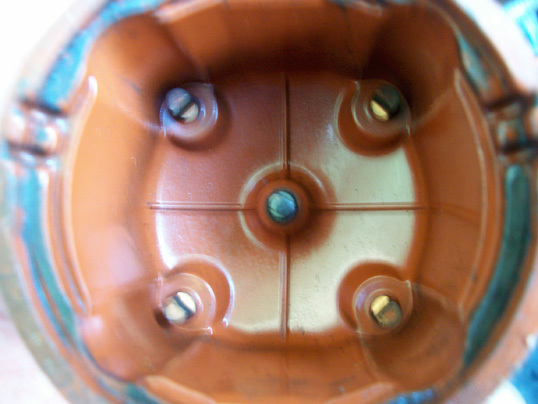 The plugs themselves are Bosch W8A6 – This type of is a hotter plug suitable for normal driving conditions, cold climate, and stop and go traffic. I looked at the distributor, not sure how to tell what kind it is, but I believe it is a .009. The rotor and points look good, but I have not verified the gap yet. 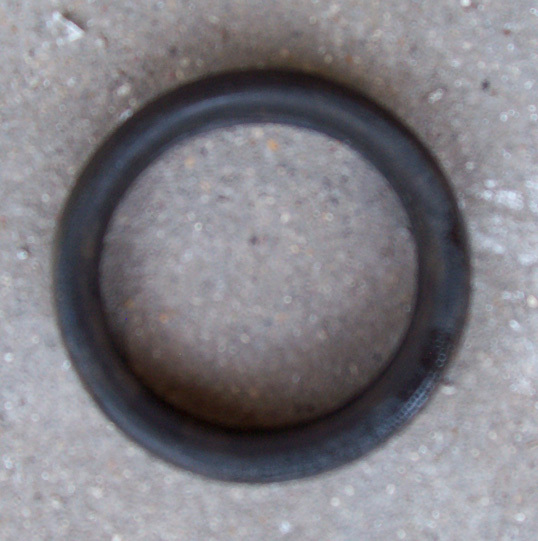 Finally, I’m embarrassed to say I found this rubber seal? and I’m not sure yet where this goes, so I’ll have to do some research. I didn’t have to research too far on this . . I found another one just like it on one of the cooling hoses…. it’s a seal. The next step is to begin ordering parts I’ll need such as filters, new plugs points ect.